The Titan Milled Navy Collection is a mix of small to midsize bags perfect for a work or weekend trip. It includes all the essentials- two dopp kits, a weekender, duffel, backpack and briefcase. The bags are all made of the highest quality Italian leather with a process that combines chrome and vegetable tanning. The Standard Attaché bag with large, generous pockets and zippered compartments is a fantastic work bag. It's really all just so good...see the entire Moore & Giles bag collection, here. 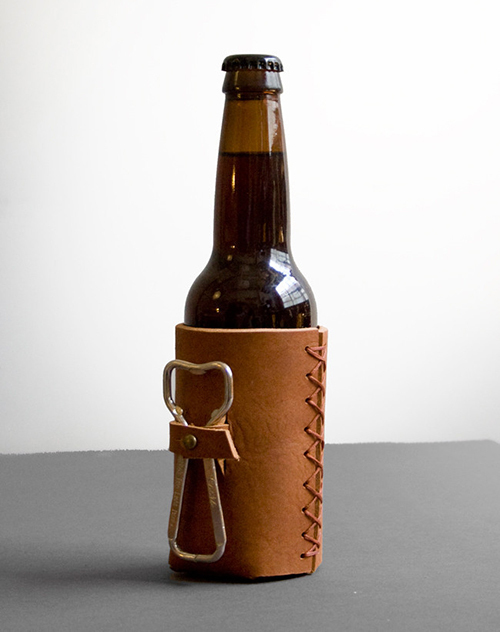 I love men's accessories as they're often made with functionality and a classic style in mind. 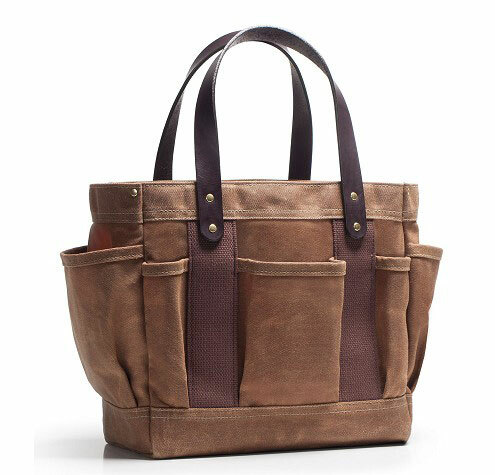 The totes and duffles designed by Silvia are rugged and sturdy as well as water resistant with ample interior pockets and modern, clean lines. 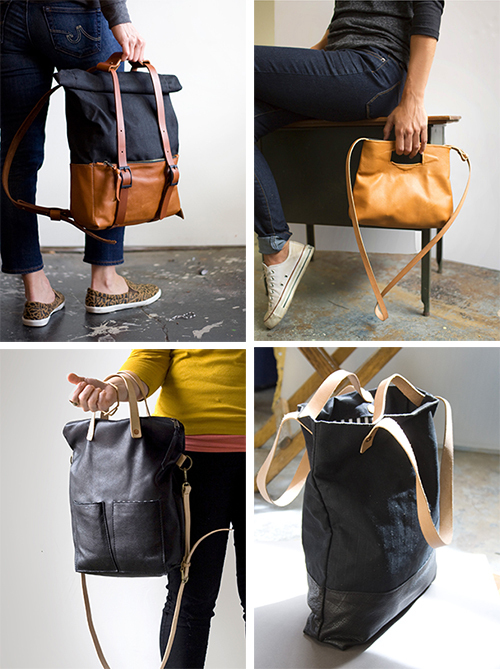 Made of waxed canvas, the bags also have 100% Horween leather accents. I think of her style as a mix between Filson and Andover Trask...can't go wrong with that. I like bags made with a specific lifestyle in mind...like this Carpenter's bag made with a removable, covered board to give structure to the bottom. Crafted with wax canvas duck fabric, it's strong and durable, plus it's built to be taken places where it may get wet, dirty, kicked around... do what you will, it can take it. The crew at Parrott Canvas, based out of Greenville, North Carolina, have been designing and producing manly totes and bags for over 20 years. These are my favorite of their stylish, functional bags but their shop includes hundreds of options for every carry need. Pick your favorite, here. At her studio, Awl Snap Leather Goods, Erin and her team of designers and fashion students craft some really beautiful bags for both men and women. Buttery soft leather is sourced throughout the world, including Italy, Mexico and Germany and each handcrafted piece comes with a lifetime guarantee.